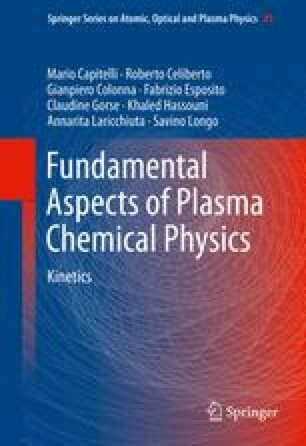 The kinetic modeling of plasmo-chemical systems to be realistic must account for the heterogeneous interaction of gas-phase with surfaces. In this Chapter a survey is presented of the results obtained in the investigation of ro-vibrationally excited molecules formed in heterogeneous atomic recombination, selecting few systems of interest in technological application. In the last section a description is given of a different phenomenological method proposed for describing the recombination of atomic species on different surfaces.